Glorious Bingo | Play FREE Bingo + £10 Bonus! Glorious Bingo is a relatively new site, about which Lord Bingo is very pleased to tell you. 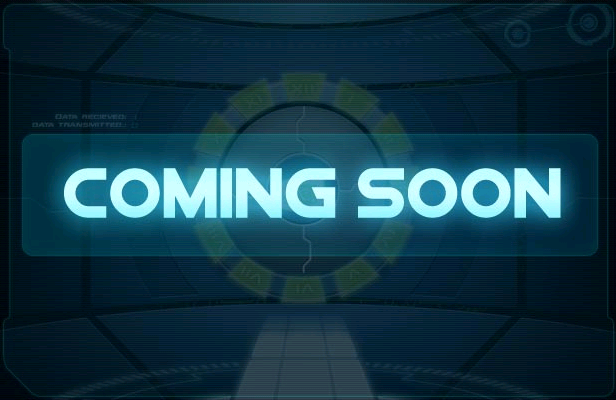 It's a great site that offers a lot of free bingo bonuses to players all year round. For starters, there's a 100% match bingo bonus on your first deposit, with 20 free tickets to get you started. Even better, there's a 50% lifetime deposit bonus on all deposits after the first. Glorious Bingo also has promotions and exciting offers to keep people coming back, including a unique loyalty point scheme. At Glorious Bingo, they will gladly allow you to convert your loyalty points into straight cash with which to play. This is something that sets Glorious Bingo apart from many of the other bingo sites. Lord Bingo found that when you open an account at Glorious Bingo you are awarded 1000 loyalty points — right out of the gate! After that, you'll earn 10 points for every £1 you spend on bingo. Once again, you can turn these points right round into cash to play with, or turn them in for some really great prizes. 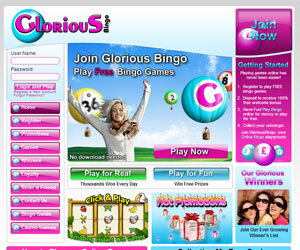 Glorious Bingo offers all sorts of online bingo games including 75-ball bingo as well as 90-ball bingo. If you are new to bingo, they have several guides to get you started on the ins and outs of play. Glorious Bingo offers massive £1,000,000 coverall jackpots on Wednesday and Friday nights, as well as some other guaranteed prize money games for £500 and £1500 the other nights of the week. Glorious Bingo also has a bingo promotion in which you can get your house bills paid for an entire month. They have gas, electricity and water pattern games where all you have to do is play and you are automatically entered to win. Lord Bingo expects you will have a simply glorious time playing at Glorious Bingo!